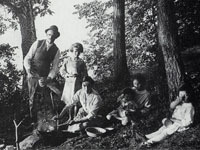 Early 20th century family picnicking in what is now the Preserve. 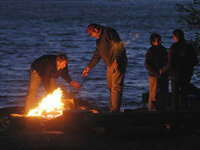 A family enjoys an evening fire on Picnic Point in 2005 (Jeff Miller/UW-Madison). Click on images for larger version. 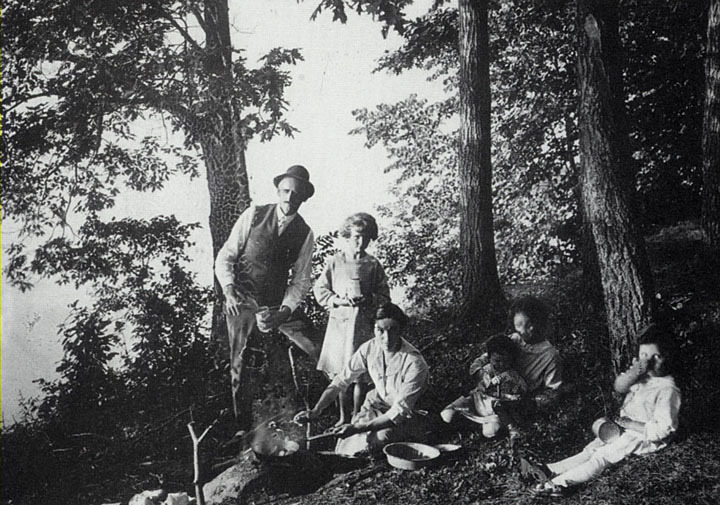 An outing to Picnic Point has long been a tradition for many Madisonians. 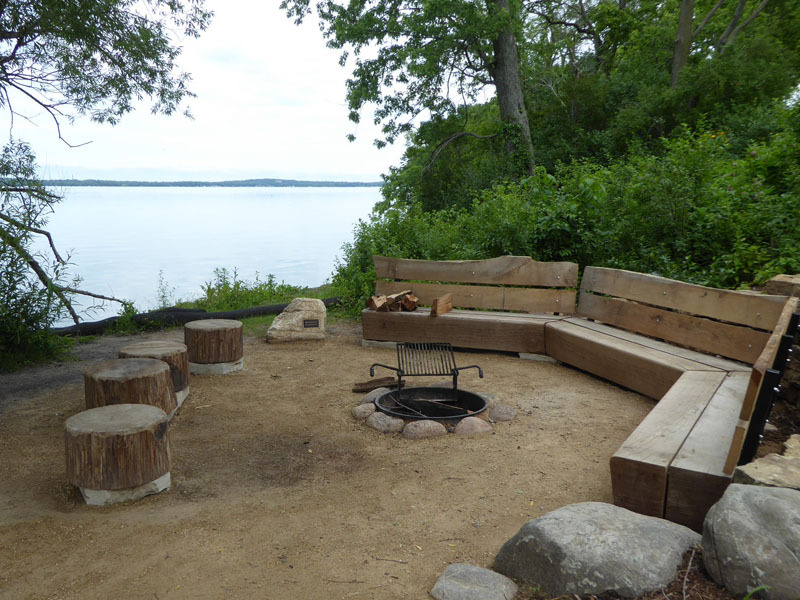 There are six reservable fire circles on Picnic Point for visitors to enjoy a warm fire or cook a picnic meal. 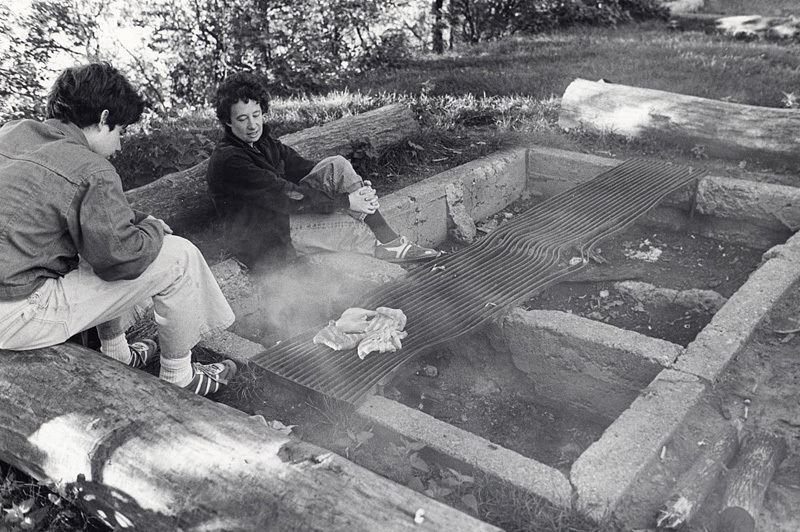 Before you reserve a fire circle, please review Visitor Etiquette. 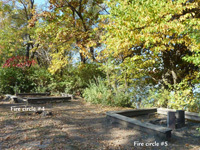 Fires are only allowed in designated fire circles. Wood is provided for free at racks found between fire circles. Please be conservative with wood use. 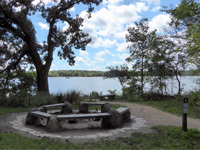 Do not bring wood into the Preserve; it may harbor destructive insects or diseases. 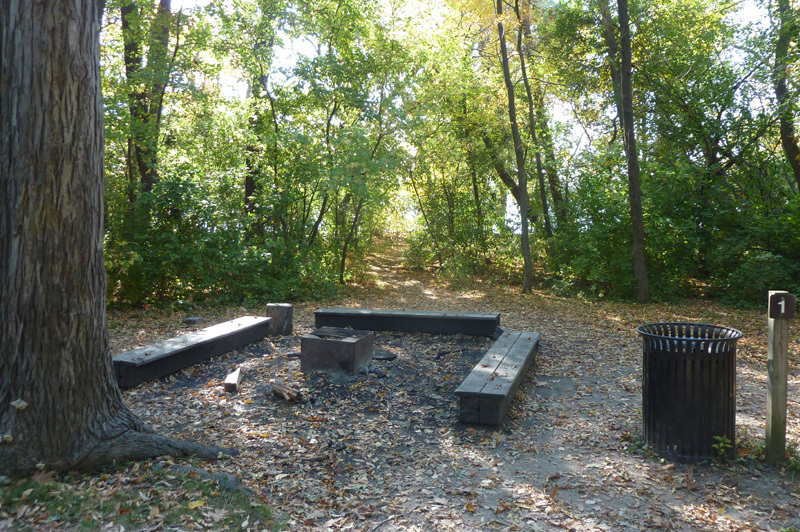 Do not collect wood from the Preserve to burn; woody debris is essential for healthy woodlands. 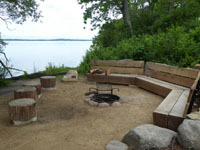 Each fire circle is equipped with a cooking grate. 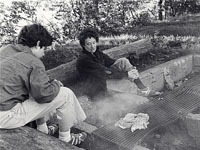 Charcoal and charcoal grills are not allowed. Catered events are not allowed. Vehicles may not be used to transport people or supplies to fire circles. 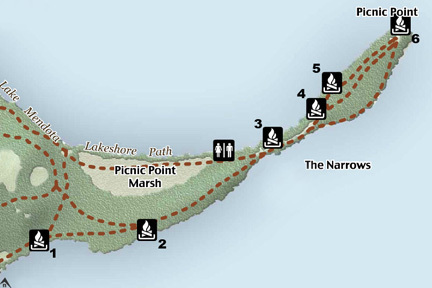 The main Picnic Point path is wheelchair accessible. 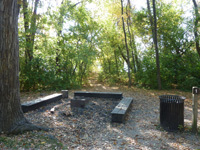 Fires must be extinguished by 10PM, when the Preserve closes. 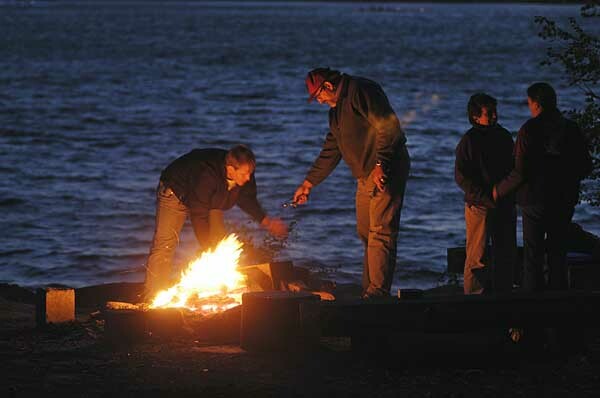 Please take the time to completely put out your campfire, it could prevent a wildfire. 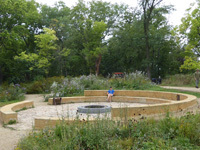 To make a fire circle reservation: visit the Campus Event Services/Wisconsin Union website. Campus Event Services will respond to your submission within 2 business days. You will receive an e-mail confirmation of the date, time, and site number. Since reservations are not required, the site may be in use when you arrive. You may politely ask that party to leave and show them the print out of your confirmed reservation. 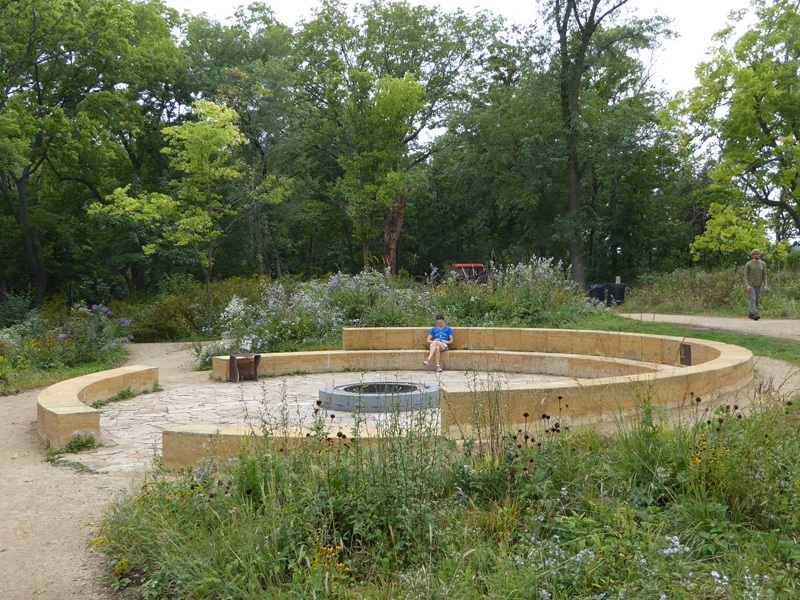 Address: Union South, Room 233, 1308 W. Dayton St.
How do I choose a fire circle? 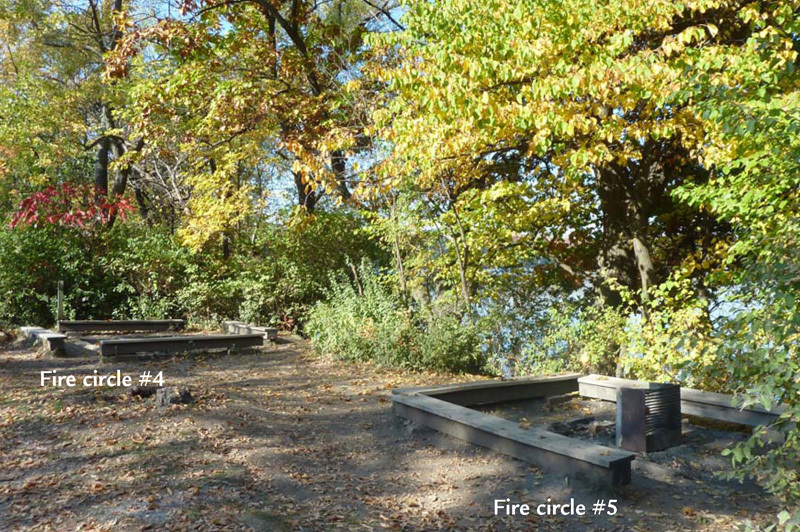 Fire circles are numbered 1 – 6 from the base of Picnic Point to the tip. 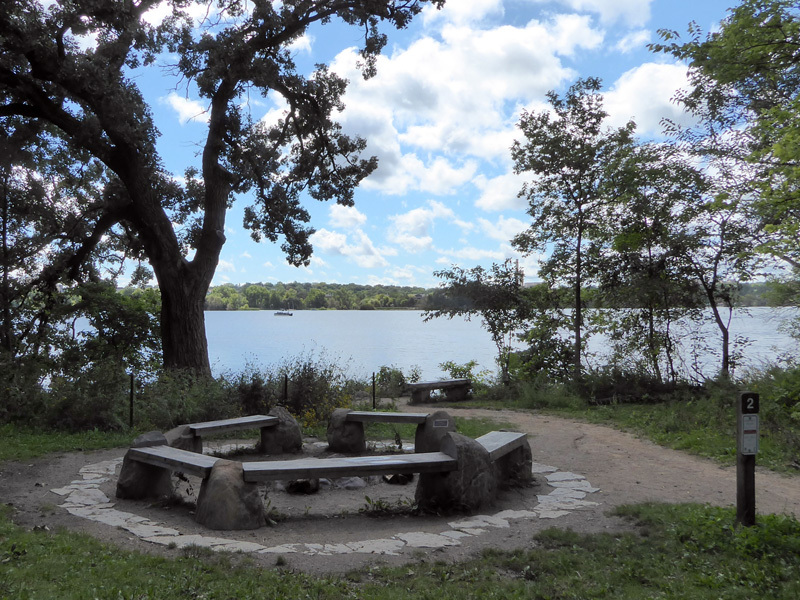 The distance from the entrance to Picnic Point to fire circle #6 is approximately 0.75 miles (1.2 km); it’s about a 15 minute walk. Adjacent to small lawn area. Combine with #5 for max. capacity 30. Combine with #4 for max. capacity 30.